The 2015 Journal Citation Reports® have just been released and we are pleased to announce that Dalton Transactions received an Impact Factor* of 4.177. We would like to thank all our authors, referees and readers who have contributed to this success, as well our Editorial and Advisory Boards for their hard work and continued support. Because of you, Dalton Transactions has continued to move from strength to strength as the largest publisher of high quality fundamental research across the fields of inorganic, organometallic and bioinorganic chemistry. We invite you to submit your best work to Dalton Transactions! Also of interest: Find out how other Royal Society of Chemistry journals are ranked in the latest Impact Factor release. 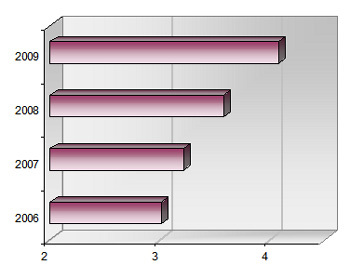 *The Impact Factor provides an indication of the average number of citations per paper. Produced annually, Impact Factors are calculated by dividing the number of citations in a year, by the number of citeable articles published in the preceding two years. Data based on the 2015 Journal Citation Reports®, (Thomson Reuters, 2016). 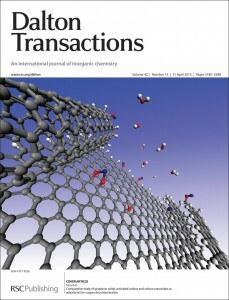 The 2012 Journal Citation Reports® have just been released and Dalton Transactions received an impact factor of 3.81. We would like to thank all our authors, referees and readers who have contributed to this success, as well as the hard work from our Editorial and Advisory Board members to make this journal an important resource in the field of inorganic chemistry. The successes of all of RSC journals’ in the recent impact factor release can be found here, highlighting the quality of our publications. Check out our journal hompage for the latest news in inorganic, bioinorganic and organometallic chemistry, or submit your paper to us to ensure that it gets the attention it deserves. Dalton Transactions impact factor increases to 3.84! The 2011 Journal Citation Reports ® (Thomson Reuters, 2012) have been released and the Dalton Transactions impact factor* has increased to 3.84! We would like to thank all our authors, readers and referees who have contributed towards this success. Our thanks also go to our Editorial and Advisory Board Members and our Associate Editors for all their hard work and dedication to the journal. 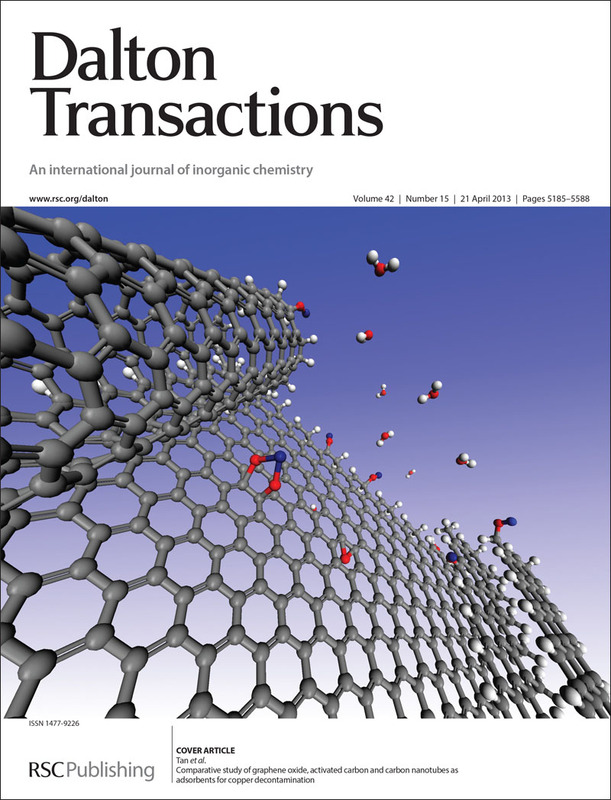 For more information about Dalton Transactions, including how to submit your research, check out the journal homepage. *The IF provides an indication of the average number of citations per paper. Produced annually, IFs are calculated by dividing the number of citations in a year, by the number of citeable articles published in the preceding two years. The 2010 Journal Citation Reports have recently been published by Thomson ISI, and the immediacy index for Dalton Transactions was announced to be a record high value for the journal, leading the field with a value of 0.81! Published alongside the more well known impact factors, the immediacy index is considered to be a measure of how topical and urgent the work in a journal is. Dalton Transactions’ latest impact factor was also published, as 3.65, representing a more than 20% growth in impact factor over the last 5 years! The Immediacy Index for 2010 is calculated from the total number of citations given in 2010 to articles published in 2010, divided by the number of articles published in 2010. We thank all our authors and referees who continue to supported the journal. Please visit our website to learn more about Dalton Transactions, or submit an article today. 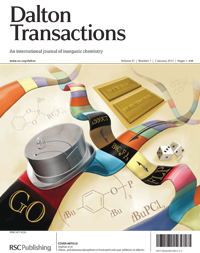 Information about the latest impact factors for other RSC journals is available here. In celebration of our impressive performance in the recently released ISI® impact factors, we are offering FREE online access to the top ten most cited articles in 2009 published in Dalton Transactions during 2007 to 2008. These excellent papers contributed to our remarkable growth. Newly-released ISI citation data confirms Dalton Transactions is one of the leading journals in its field. The journal’s impact factor has grown by an impressive 35% in the last 4 years to, leaping above 4 for the first time to reach a value of 4.08. Why not take a look for yourself and check out the big name authors and hot topics? Don’t delay – this free offer is only available until 11th August 2010! Ammonia–borane: the hydrogen source par excellence? Highest Ever Impact Factor – 4.1! The latest citation data released by Thomson ISI on 17 June 2010 reveal that Dalton Transactions‘ Impact Factor has risen by over 14% to its highest ever value of 4.081. This great rise would not be possible without the support of the inorganic, bioinorganic and organometallic communities and all those readers, authors and referees who contributed to the successes of the journal this year. Thank you for your continued support for Dalton Transactions. This impressive growth in impact factor in the last four years underlines the continuing success of Dalton Transactions which provides a natural home for high impact research in inorganic, organometallic and bioinorganic chemistry from all over the world. To be part of this exciting journal, submit an article today. The impact factor is a measure of the number of times an “average article” in a journal has been cited in a particular year. The impact factor for 2009 is calculated from the total number of citations given in 2009 to articles published in 2008 and 2007, divided by the number of articles published in 2008 and 2007.